Did you know that the church is losing an entire generation. Those between the ages of 19-30 to be specific. Now many churches have changed how they do things, by having a more contemporary style of worship. The music is model, upbeat, and non-traditional. The pastor is no longer the Senior Pastor but is now the Lead Pastor, and he has traded his suit and tie for bluejeans and a t-shirt. Now don’t get me wrong i have nothing against any of these if it is reaching the lost for Jesus, but the problem is that even in the new style church we are losing a generation, just a different generation. What if a church could be as Paul said “all things to all men”? What if we could reach every generation? If we could do church in such a way that it would reach across generational lines? What if we could reach “church people” and “non-Church people”? Well maybe there is a way that we can. Here at the church we are beginning something brand new. You see I do believe that it is time that the church try new things to reach the unchurched people in our community. 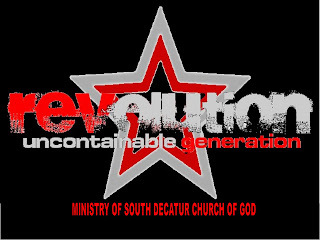 So starting June 14th on a Saturday night we are going to have what we call a Revolution Service. Yes we are going to have Christian Rock music to worship to, blue jeans and t-shirts will be the main attire, and we will be using more media than ever before. Our goal is to create a church experience for people that don’t like church. In doing this we believe that we can draw a generation of people that would never come to church any other way. At the same time we are not going to just change everything we do, just so we can say we changed. Sunday morning we have a somewhat contemporary style worship and that service will remain intact for our growing congregation. You see I truly believe that a church should be a place where everyone is being reached with the gospel. I ask that you pray as we step out on faith to add this service to our weekend experience. Previous What does the True Church Look Like? Next How do you let her go?